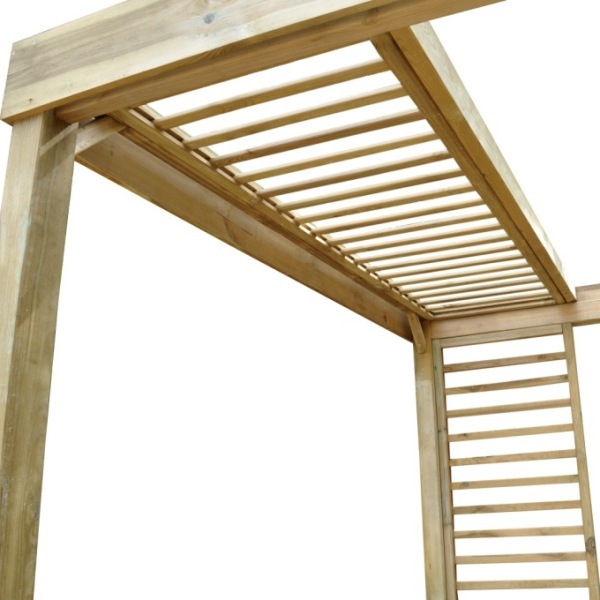 The Contemporary Dining Pergola from Forest is a modern design that creates a stunning rectangular frame that can be installed above a patio or deck to provide support for climbing plants that once established will offer shelter from the summer sun. The modern design makes this pergola suitable for urban gardens and a popular choice in contemporary commercial outdoor settings. The panels supplied with the pergola can be fitted in a number of different configurations to best suit the location in which it is being installed. 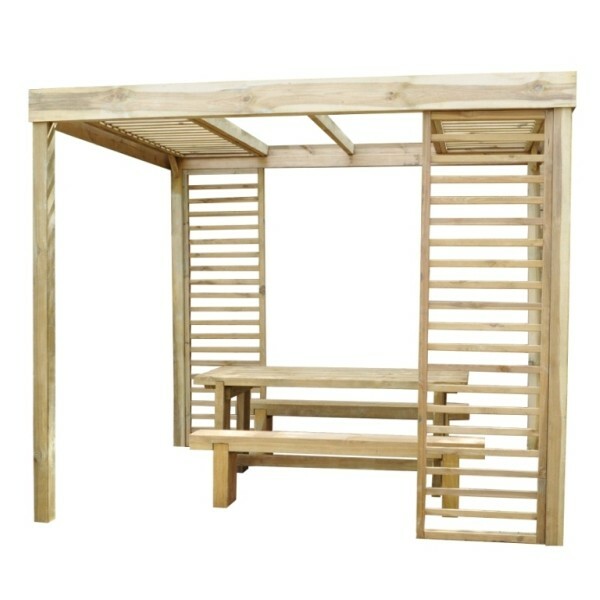 This pergola is made from specially selected pressure treated and planed timber that is guaranteed against rot for 15 years. The pressure treatment gives the timber a slight pale green tint which allows the natural beauty of the wood to show through, or alternatively makes an ideal foundation for colouring to suit your personal tastes. FSC timber is used wherever possible. 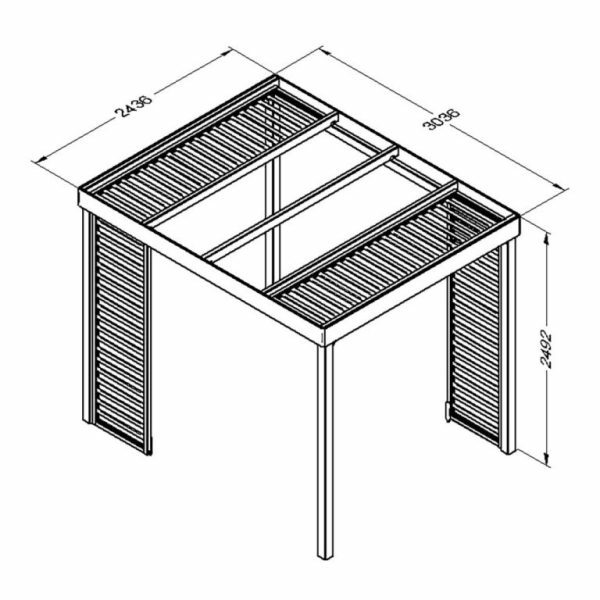 Home assembly required.